The gorgeous Eden Vanity (3 Taphole) basin will add style and practicality to any bathroom. This ceramic basin features the perfect blend of great looks and functionality and will make any bathroom look more attractive. 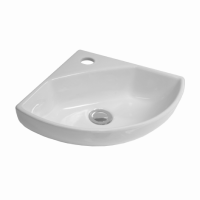 The Eden Vanity Basin is both durable and compact. 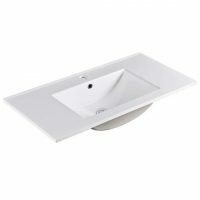 It measures 560x450x210mm in dimensions and is manufactured using top grade vitreous china, in a classic white finish. This elegant ceramic basin features a contemporary design with a wide range of styles. It is highly flexible, meaning that you can create any desired look in your bathroom with it. The Eden Vanity Basin speaks of innovation, quality and affordability for every homeowner. 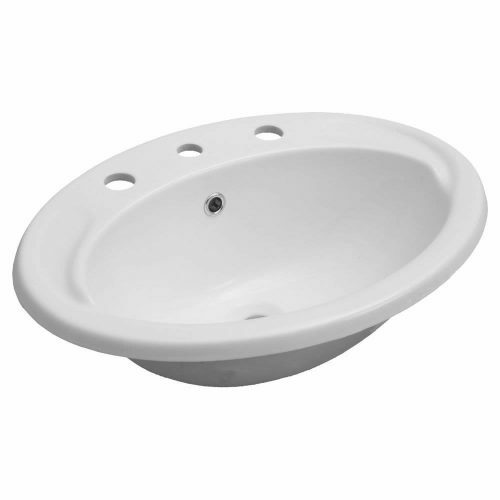 This bathroom basin features three tap holes and you can configure it any way you want. 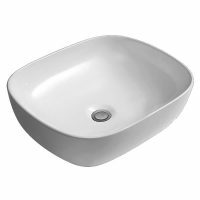 A waste is not included with this basin and will need to be purchased separately. Ross’s Discount Home Centre offers the Eden Vanity Basin is featured at an amazing price. You won’t find this product at a better price anywhere in the market. Moreover, it comes with a 14-day money back guarantee and free shipping across Perth Metro. So, visit our showroom or shop online to buy this elegant bathroom basin today!